With a family full of Auburn alumni, Caroline Norris was destined to attend Auburn University and has found her scholastic home in the College of Sciences and Mathematics (COSAM). A Montgomery, Ala., native, Caroline, 21, is a junior majoring in Biomedical Sciences/Pre-Dentistry with a minor in Business. She had yet to decide on her career path before attending Auburn and began her education as a Chemical Engineering student. The summer after her freshman year, Caroline volunteered at the Montgomery Cancer Center and realized she wanted to pursue a different career path. “That was the first time I saw people that loved what they did, were really good at it and actually helped people,” Caroline said about the Cancer Center. Sometimes the work of the doctors at the Cancer Center has successful results, and sometimes it didn’t. Caroline realized she wanted to pursue a career that offered more positive results. Caroline has been a COSAM Peer Advisor since August, and said she enjoys helping give other students the tools and a plan to be successful. 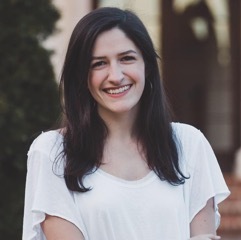 Caroline attended Auburn University on a National Merit Scholarship and is the Pre-Dental Representative for Auburn University through Alpha Epsilon Delta, the pre-health student organization. COSAM Peer Advisor and Biomedical Sciences/Pre-Dentistry Major Caroline Norris.